Is this the face for the new $20 bill? began issuing money and it’s time for a change. We see the familiar faces of George Washington, Abraham Lincoln, Ulysses S. Grant, and Andrew Jackson on the bills we use every day. Not a woman in sight! In this, as in so many other ways, the United States is more conservative than many other countries. Britain, of course, has Elizabeth II on the currency as do many of the countries from the Commonwealth. But they don’t stop with the monarch. Australia has put Nelly Melba, the opera singer, on its currency, Canada honors the first woman judge, Emily Murphy, and of course Argentina has Eva Peron. Denmark has placed the author, Karen Blixen on its currency. Surely it is time that America follows their lead and portrays a woman. The Women on 20s campaign has a list of candidates to replace Andrew Jackson and they are good ones. 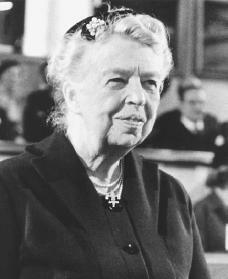 There are lots of familiar faces—Eleanor Roosevelt, Susan B. Anthony, Rosa Parks and others. One of my favorites would be Frances Perkins, the first Secretary of Labor under President Franklin Roosevelt. I’ve written about her on this blog before. She was the person most responsible for setting up the Social Security program that has changed the lives of so many older Americans. 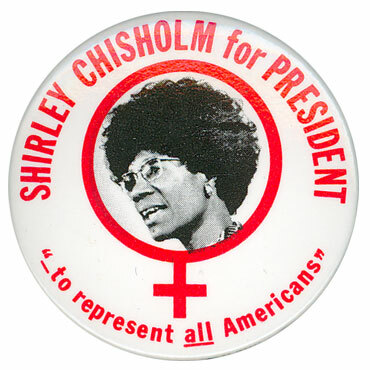 Another favorite of mine is Shirley Chisholm, the first African American woman elected to Congress and in 1972 became the first African American woman to become a candidate for a major party nomination for President. Throughout her Congressional career, Chisholm worked to improve the lives of people living in the inner city and struggling with poverty and poor job prospects. She pushed through a bill guaranteeing a minimum wage for household workers and supported increases in education and health care. 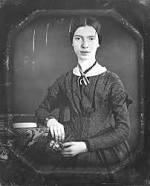 If a poet can be nobody, then surely the twenty-dollar bill can be even less important. That’s something that might make us feel better as we see them flying out of our wallets every day. But of course perhaps all of our currency is flying away. As the Apple Watch comes on the scene, none of us may need currency any more. Emily and Andrew as well as George, Abraham, and Ulysses and the bills they represent may be merely historical footnotes as our technological world moves on. What a thought provoking post! It certainly should be a woman … but such choice. I wonder just how many hands a $20 Bill goes through in its lifetime. Maybe average Mrs America should go on it. Or Marge Simpson! Please follow if you’d like. Thanks, Chris! I like the idea of Marge Simpson on a $20 bill. I’ve just checked out your blog and found some fascinating stories about writers I admire, so I signed up to follow. Great work! Frances Perkins, ER and SC are my top 3. I voted for them. I’m glad you agree with me–those three are tops. It will be fun to see who actually wins the vote.